How I Gained It: Weight became my life at the tender age of six. Between genetics and a genuine love for food, the weight crept on slowly but surely. I went to my first Weight Watchers meeting at age 10. There would be plenty of more to come. As the years went by, the scale went up. Once I crossed the 200-pounds mark, turning back became increasingly difficult. Believe me, I tried — and all sorts of diets, too. Most were a temporary fix. Of course, my lack of activity didn’t help. From the beginning, I preferred sitting to moving. There were Barbies and video games to play and books to read. I woke up one day at my heaviest. 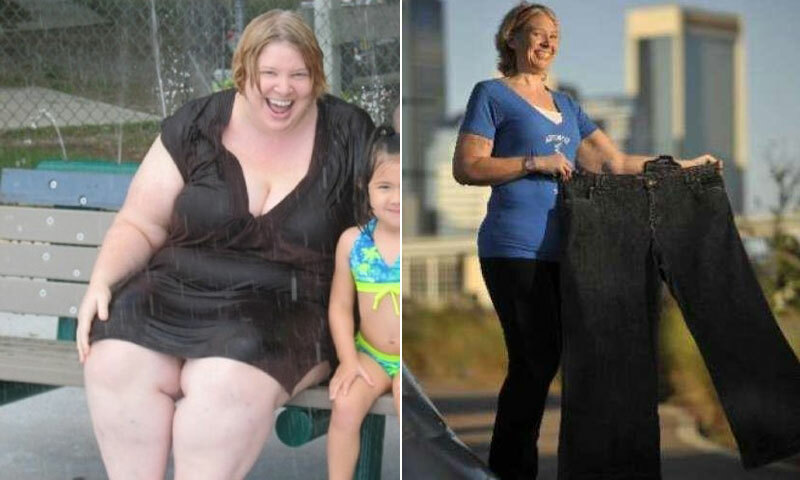 I had lost the real me to 357 pounds of fat. Breaking Point: It was the week of Valentine’s Day in 2009. I was sitting at work quietly thinking about my life when I decided to give myself the gift of love that year. I walked back into the same Weight Watcher doors I let shut time and time again on February 14. 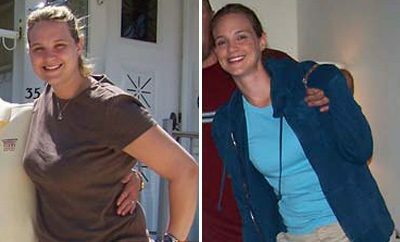 How I Lost It: Weight Watchers and plenty of exercise. I joined my local YMCA and started putting one foot in front of the other on the treadmill. Then came Zumba classes, Spinning and my first half-marathon! I still enjoy a variety of food, even my favorites. I simply enjoy less of them — and I can’t sit still. I’m constantly finding new ways to challenge my body to heights I never imagined I’d achieve. I’m crossing finish lines each and every day! This has been and always will be about a brand new me, but now I want to be there for others who need to believe. I’m not just on a mission to reach the goals I’ve set, but to inspire anyone who needs someone to believe that they too can do it. I want to be a real source of hope for others. I do that with my Facebook page, and hope to become a certified Zumba instructor. The first step can be the most difficult, but once you create that forward motion, nothing can stop you. Even the bad days can be conquered. Those are the ones that build the most character. Current Weight: 177 pounds. My goal is 165. Wonderful. Awesome. So happy for you. Wow ! You look amazing! Great job! I’m the same way! Even when I don’t feel good I find myself walking, moving. It’s like having lost weight by forcing myself to be physical, now my body craves it. Congrats, Becky. You’ve done an amazing job and I know how hard that can be! way to go! I am on day two of my journey. these stories are like a heart hug! I think you are awesome. I am so disgusted with myself. People like you you are such an inspiration to me. Amazing job you lik awesome!!! U look amazing keep up the good work! 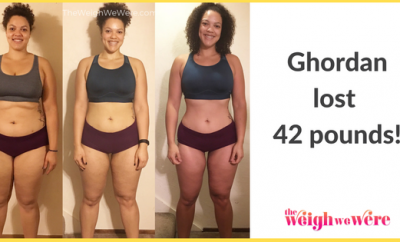 WTG … you look amazing! Congrats not only awesome but inspiring. Wow! You look MAHVELOUS!!! we must say… What a way to PLOW ON! Wow love your story! Thank you for sharing I needed to read it today! 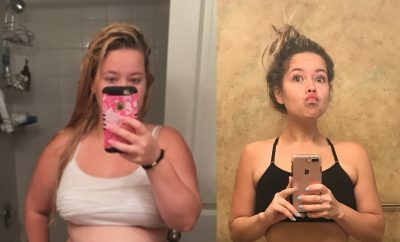 I too am losing myself to fat & it needs to stop! I love reading these stories. I’m just starting my journey Happy Dances and I can’t begin to tell you how much these success stories inspire me. I read them each day and it’s like a little jolt to my confidence that I desperately need to stick to it, not give up, not just let it go and start some other project. I’m learning to focus on myself and that feels strange – I’m so used to focusing on work, my kids, my friends – to stop and take time to really work on myself is just weird. But part of the time I’m giving myself is reading these stories!! Thank you so much for taking the time to share them because it means so much more than I can say!! Thank you Danielle…:-) You’ve got this, & remember that it’s your love story. Everything else will fall into place even more so as you change you from the inside out! Congrats on your Weightloss an lifestyle change! Thank you for sharing!!! What an inspiration! Fantastic!! You are an inspiration!! You are amazing! I know what you mean about moving. I was lazy and unmotivated, but once you start moving, you cannot stop! You begin to miss out, of you skip a day! 🙂 keep up the good work!!!! Read your story, the gift of love, awesome, it’s not Valentines Day but I am doing the same on good Friday! Proud of you! Thank you! You did amazingly,congratulations but I must say you are beautiful before and after.